Time in way: 6 h. 30 min. 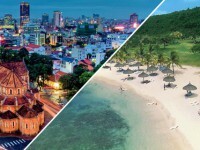 Phu Quoc is one of the main resort cities in the South of Vietnam and the main point of departure is Ho Chi Minh, so how can you get from Ho Chi Minh to Phu Quoc? 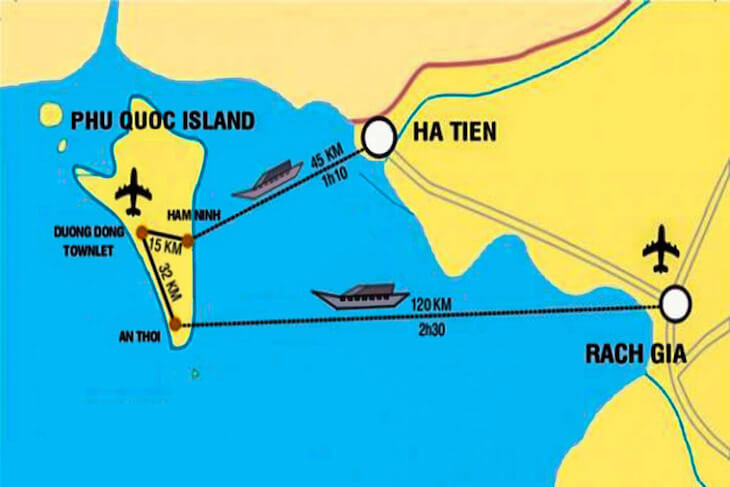 It’s the simplest way to get to the island from Ho Chi Minh. 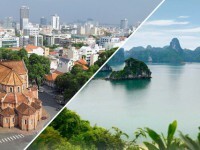 There are everyday flights that make Vietnam Airlines, VietJetAir, Jetstar Pacific. The trip will take you about one hour. One way ticket costs about 40-50$, you can find ticket cheaper than this, but you have to book it beforehand because you could be late. 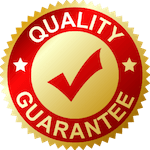 You can book ticket beforehand through the official sites of air companies in Internet or through special services. The last stop in the trip to Phu Quoc will be Duong Dong Airport. As you can see by the picture, the ticket costs about 790 thousand dongs (35$). 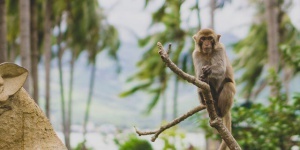 There is no public transport on the island, so you will have to get to your hotel by cab, minibus, moto taxi or by rent car. Because of the landscape it would be better to rent not ordinary car, but jeep. There is also one feature. You can rent the car only with driver because “native” license is legal. 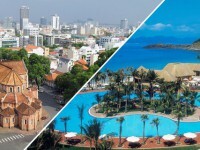 Many hotels on the Phu Quoc can offer you their transfer. This kind of trip includes land and water transfer. It will take much time than flight but it’s cheaper. There are many tourist agencies where you can book complex ticket “bus + launch”. It will cost you about 25-30$. There is always a bus that will take tourists to the place of their destination. 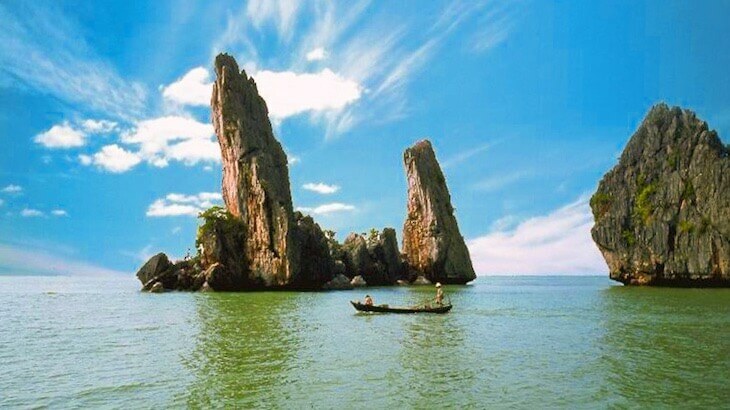 Tourists, who don’t want to buy ticket in the agency, could get to Phu Quoc themselves. There also few ways to get there. 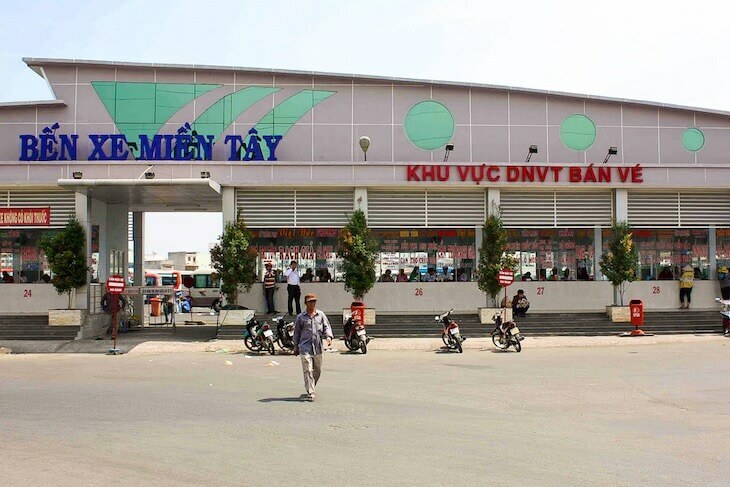 At first you need to get to Mien Tay Bus Station in Ho Chi Minh, where you can buy ticket for “sleeping bus” that goes to Rach Gia. The ticket costs about 160-200 thousand dongs and it will take you about 6 hours. It will take you from the bus station to the dock. 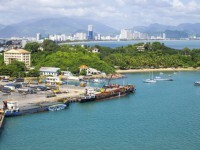 The ticker for launcher to Phu Quoc you can buy in the harbor. The price depends on the class of state room and it is about 160-350 thousand dongs. The trip will take you about 2 and half an hour. The last run is in 1 pm and if you be late, you will have to wait to next morning. 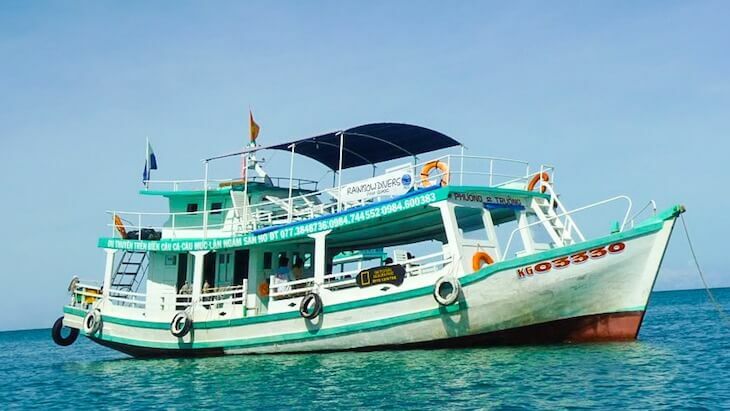 There are tickets on the launch for shuttle that take tourists from the dock to the city of Phu Quoc. It will cost about 25 thousand dongs. They arrive to two docks: Duong Dong or An Thoi. There is another way of transfer through the small town Ha Tien. There is direct bus from it to the bus station in Ho Chi Minh. It goes in 8 am and the ticket costs about 100 thousand dongs. You can do it any other time, but you will have to make transfers and it is not comfortable. The trip will take you about 7 hours. The ship goes to the island in 8 am, 10 am and 1 pm, so you will have to spend one night in one of the local hotels (the price begins from 5$). 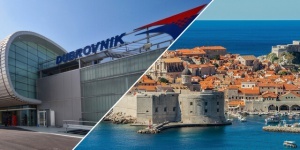 You can buy ticket at your hotel, in excursion office or near the dock. 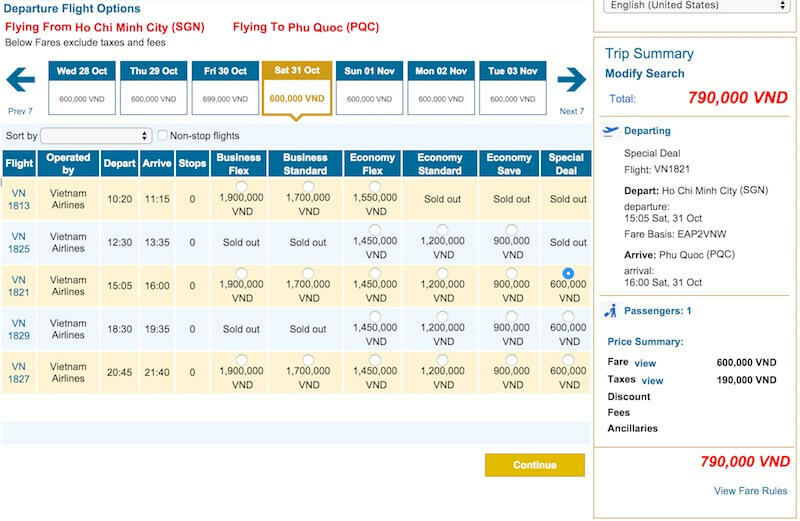 The ticket for the ship to Phu Quoc costs about 100-190 dongs. You should buy them beforehand because they could be sold out quickly. The sea trip will take you about one and half an hour. There are also tickets for minibus that will take tourists to their hotels.